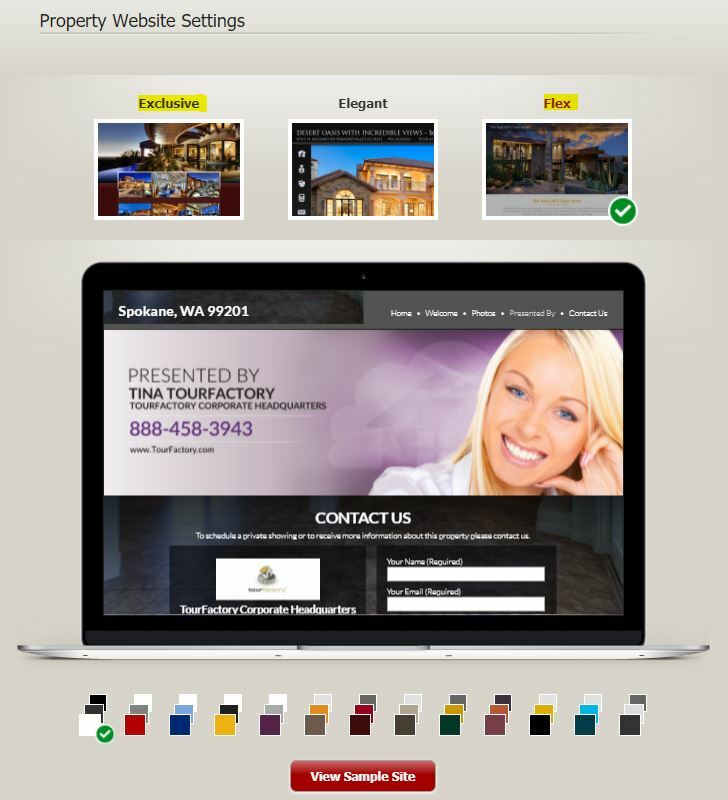 Click the gray tab on the left-hand side labeled “Theme”. 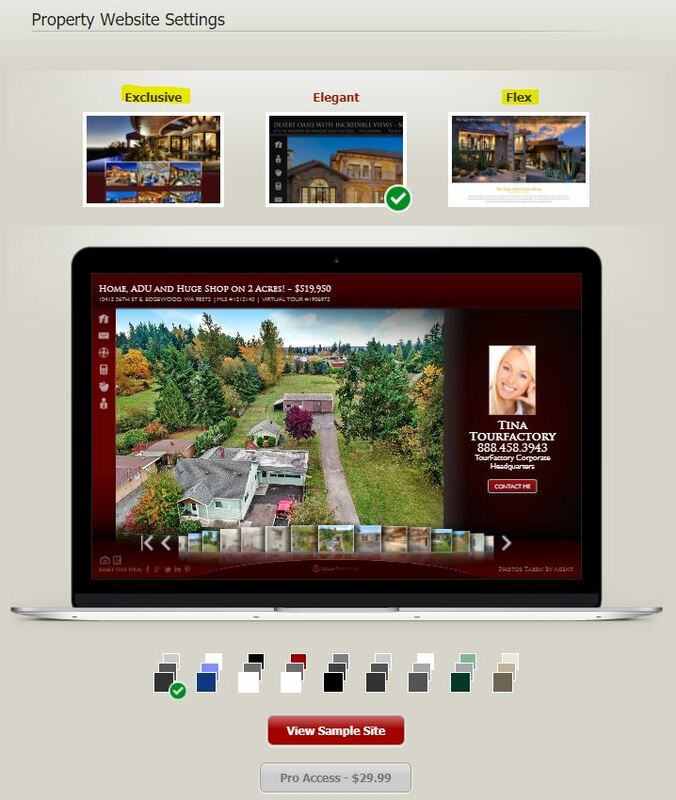 Select the Exclusive or Flex site theme. Scroll down and click the red “Pro Access” button. Note: Price may vary depending on your location. This will take you to the check out page. Select a stored Credit Card or enter a new one. 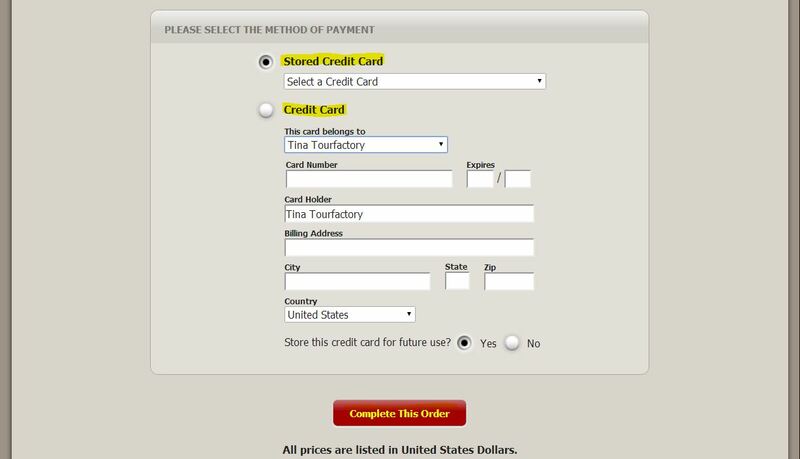 Once you have done this, click the red “Complete This Order” button. 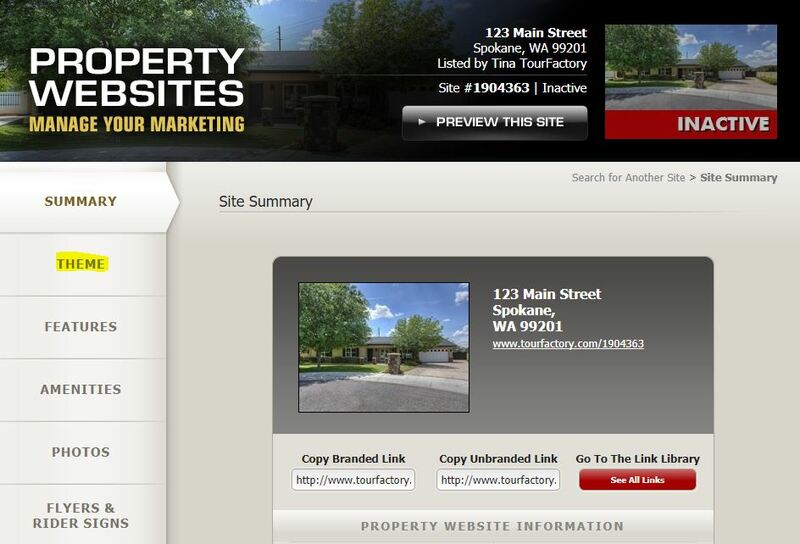 You will now be able to select the Exclusive or Flex site theme on the Theme tab for this property. 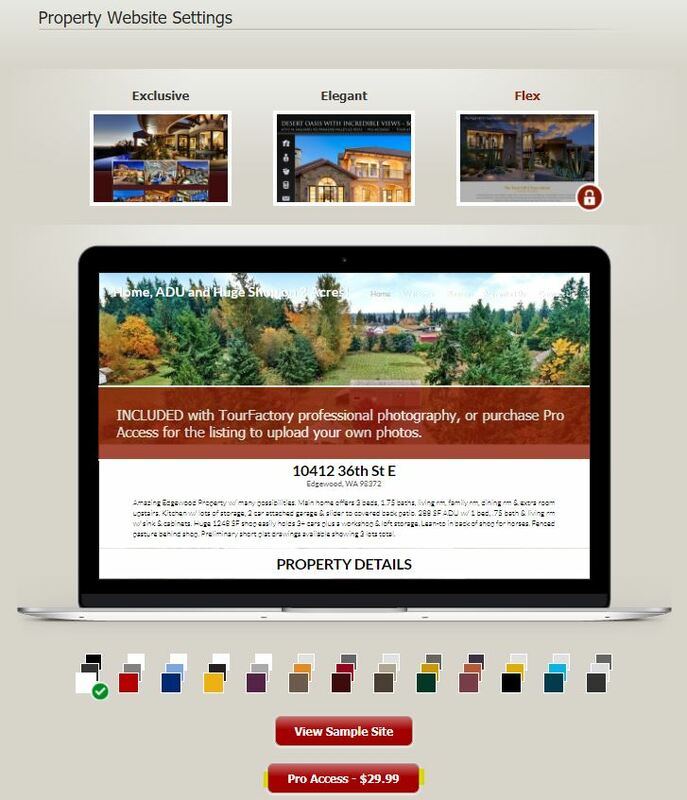 Note: Exclusive and Flex site themes are automatically available when you order TourFactory Photography or are on one of our monthly Memberships.